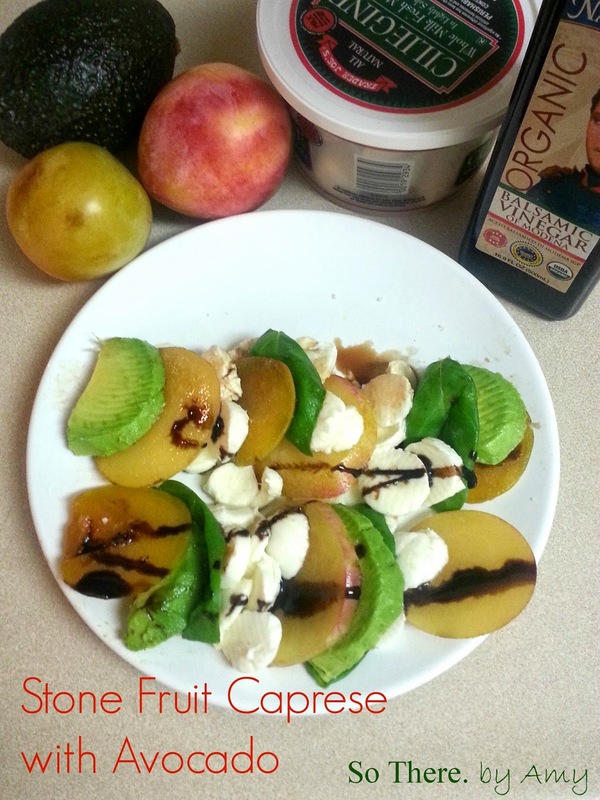 I love the idea and flavors of a caprese salad, but I have never liked tomatoes. So sad, I know. BUT! I love making it with cucumbers, or in this case, stone fruit, like some amazing, juicy, pretty farmer's market yellow plums and pluots! 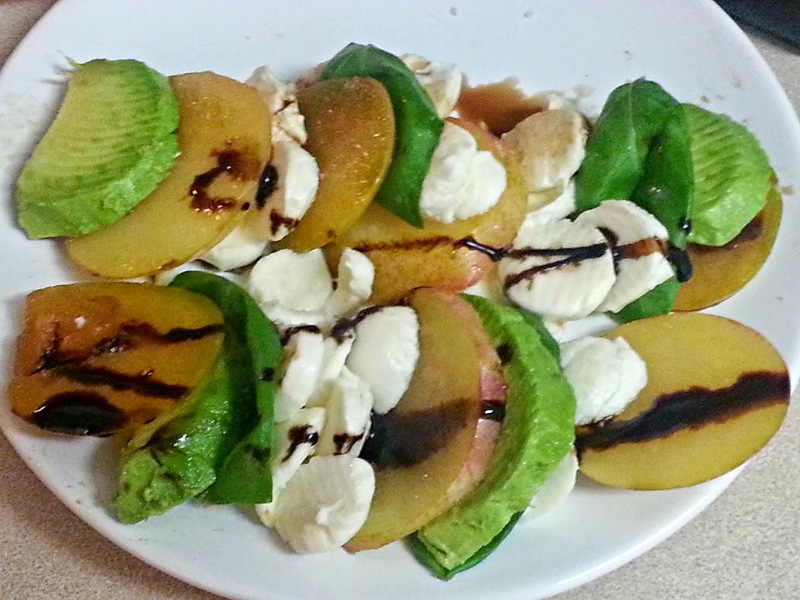 Plus, I add avocado and balsamic for good measure. Trader Joe's finally suckered me in to buying the whole basil plant today. They always look so pretty out front, but today they were on sale for $2, and the packet of basil I was going to buy inside in the produce aisle was $2 or more anyway! So I went for it. Here's to hoping I can keep it alive. Slice a plum (or peach! 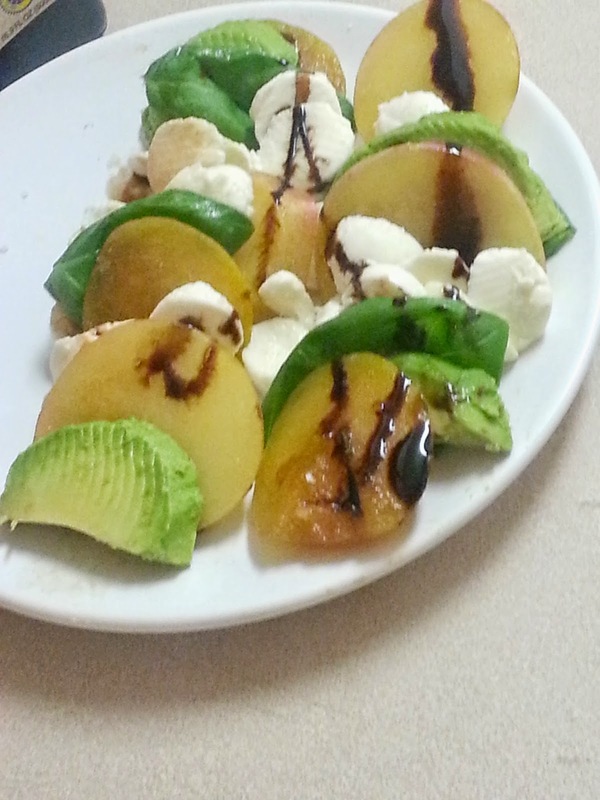 ), some fresh mozzarella cheese, and half of an avocado. Layer all three on a platter, layering in basil leaves as you go. 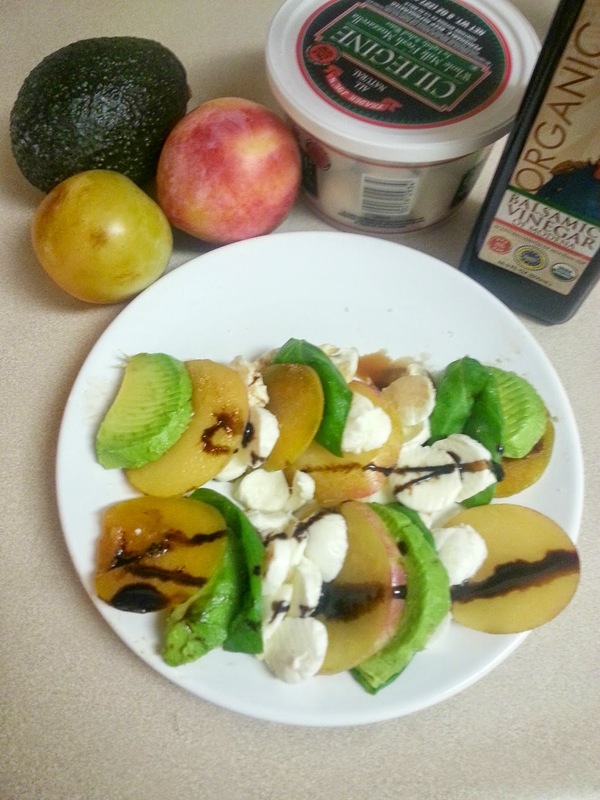 Sprinkle with a pinch sea salt and drizzle with either balsamic vinegar or balsamic glaze. Yum. The perfect summer meal! I am savoring the last few weeks of summer before I dive face first into apple and pumpkin spice everything in the fall!